Hey hunters, we’re back again with a review of Lenny & Larry’s protein cookies! One of the hottest – yet most controversial – protein cookies on the market right now. 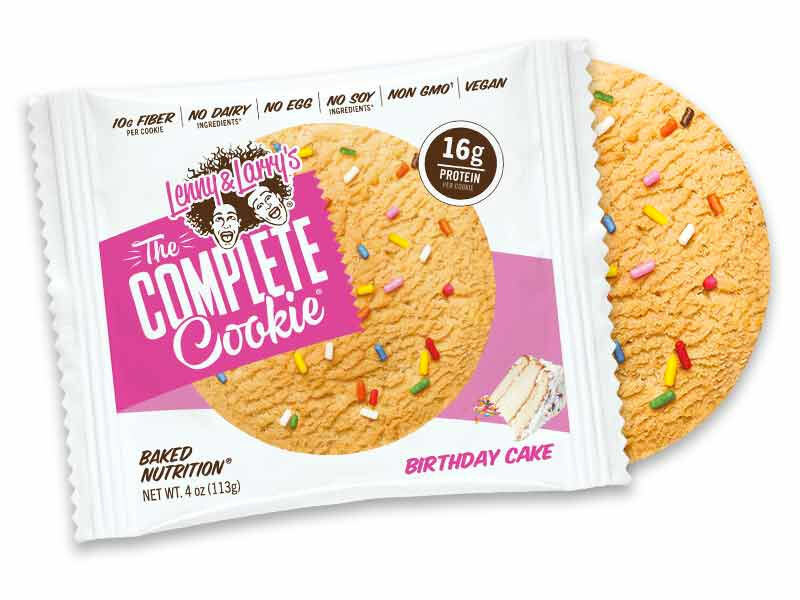 Lenny & Larry’s practically invented the protein cookie back in the 1990’s, so they’ve been around for awhile and have a lineup of some great flavors that we’re going to talk about today. Is Lenny and Larry’s Gluten Free? Are Lenny and Larry’s cookies vegan? How many calories are in a Lenny & Larry’s cookie? 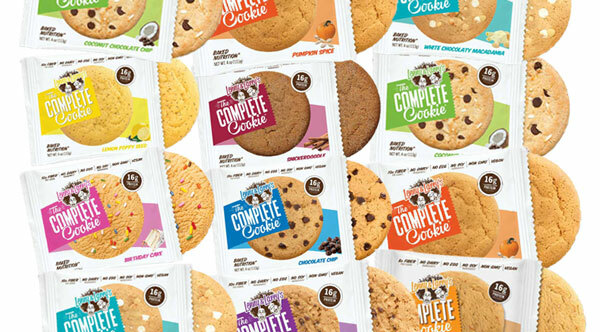 Is the Complete Cookie a meal replacement? Looking at the packets for Lenny and Larry’s cookies, it’s sometimes hard to believe that they are everything they say they are. 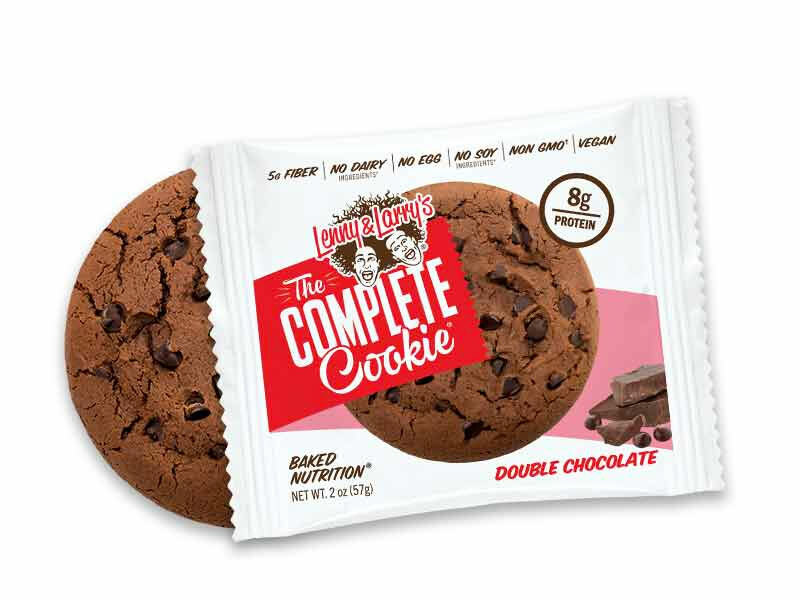 Each Lenny and Larry’s cookie is around 400 calories if you eat the whole thing. They list themselves as being Vegan friendly, Kosher, Gluten Free, and so on. But we love that, because, honestly, it means that pretty much anyone can enjoy these cookies. We also love the fact that they use sustainable palm oil and they don’t bother with artificial sweeteners. Each of their cookies comes with an average of 16g of protein. That’s a pretty decent amount for a protein cookie. To meet all their above requirements, Lenny and Larry use a pea protein source, so there’s no egg, soy or dairy either. All the flavors we’ve sampled have had a soft-feel to them. So if you’re expecting a hard cookie then these are not that. They’re easily edible and actually quite large. With all of them we find that once we’ve reached the end, we’re satisfied. Somehow Lenny & Larry’s have managed to find the sweet spot in between just enough and wanting more. Yes, Lenny & Larry’s cookies are gluten free! Yes, Lenny and Larry’s cookies are vegan! Each whole cookie contains around 400 calories. Individual flavors are all around this amount but may vary by 10 – 20 calories. 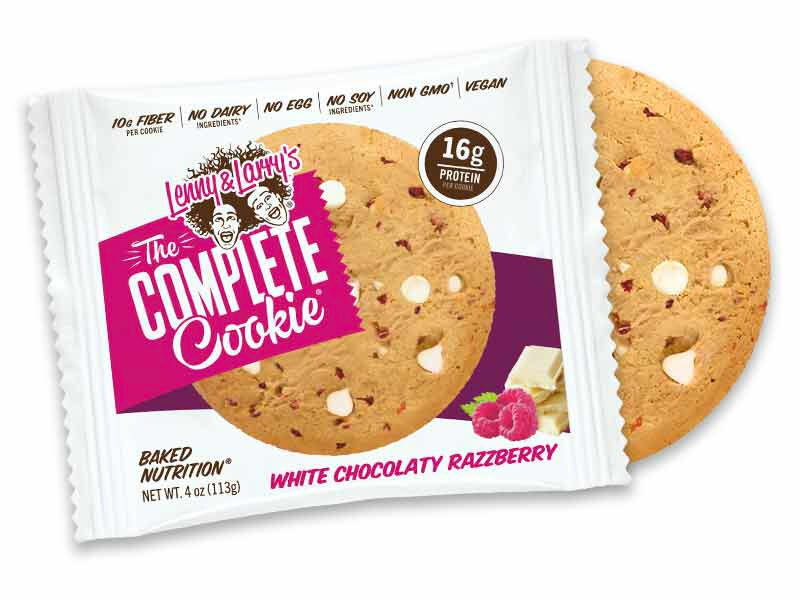 The Lenny and Larry’s cookies could be a great meal replacement. 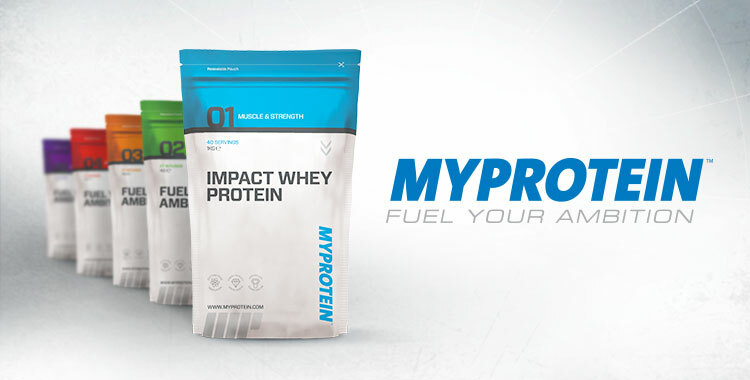 With around 400 calories, 16g of protein and 10g of fibre per cookie, they’re a great protein snack or a meal replacement depending on your diet and goals. Here at Protein Hunter, we’ve tried all the flavours that Lenny and Larry have to offer so far. We’ve definitely got our favourites and our dislikes. Let’s face it, who doesn’t love birthday cake? This flavour is no different to enjoying that birthday cake feeling, but with the added benefit of all the protein it contains. Out of all the Lenny & Larry flavours, this one is by far our favourite in the line-up. You get that awesome birthday cake style flavour and the little hundreds and thousands baked in to the cookie add that little bit of sweetness that you might expect from the top of an iced birthday cake. Lenny & Larry knocked it out of the park with this flavour and we haven’t gotten tired of eating it yet. We give the Lenny & Larry’s Birthday Cake flavor a 4/5. Oatmeal raisin is not always everyone’s first choice of protein cookie (or regular cookie). But we love it. It’s one of those “back to basics” style cookies that gives you a great oatmeal taste with the raisins giving it a little (but not too much) sweetness. With its breakfast vibes, the Lenny & Larry Oatmeal raisin flavour is our go-to mid-morning protein snack. Although you can really eat it at any time of day, we’ve found ourselves reaching for this one in the mornings and other flavours later in the day. Like many of the Lenny & Larry’s protein cookies, it’s got a great ratio of cookie to “topping” and has a pretty nice texture to it also. We give the Lenny & Larry’s Oatmeal Raisin flavor a 4/5. This is a great flavor for those who want to take a break from regular chocolate. Or just fans of white chocolate in general. (Like James). You get a decent amount of white chocolate chips and the macadamia nuts give it a great added taste. Our only complaint with the White Chocolate Macadamia flavor is that over time the flavor can get a little bit tiresome. If you’re going to go for this one, we’d recommend that you mix it up with a few other flavours so that you’re not eating this one back to back. We give the Lenny & Larry’s White Chocolate Macadamia flavor a 4/5. To be honest, we’d never heard of a Snickerdoodle before. 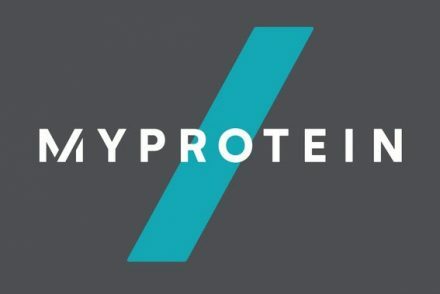 It’s not really a thing in the UK – where Protein Hunter is based. But, on a recent trip out to Los Angeles, we gave this one a go and loved it! As it was the first time we had a Snickerdoodle, we can’t really compare it to other Snickerdoodle flavors, but it was honestly great. It had an awesome cinnamon taste and was soft with a nice texture. It crumbles a bit easier/more than some of the other flavours, so just be careful when eating it so that you don’t lose big parts of the cookie. We give the Lenny & Larry’s Snickerdoodle flavor a 4/5. This one is a soft and chewy cookie, and you definitely get the lemon flavor from it. It has a bit of a sweet/tarty taste and you get a bit of a crunch from the poppy seeds too. But out of all the Lenny & Larry cookies we’ve tried this is probably the lowest on our list when making a choice. If you’re not really a fan of chocolate at all then this one might be a good alternative (but we’d recommend the Birthday Cake or Oatmeal Raisin flavors over this). We give the Lenny & Larry’s Lemon Poppy Seed flavor a 2/5. There isn’t much to really say about the Chocolate Chip cookie other than it is exactly what you might expect! You get a good amount of chocolate chips per cookie, so we think the ratio is pretty good. There’s nothing really unique about this cookie. So if you like chocolate chip cookies in general and would love a protein version then this one might be for you. We give the Lenny & Larry’s Chocolate Chip flavor a 4/5. Double Chocolate has been a discussion starter between us and our friends. Some of us love it, some of us find it too chocolatey. At Protein Hunter, we’re in agreement that it’s just a little bit too chocolatey for us and there are other flavours in the Lenny & Larry’s lineup that we would prefer over this one. That being said, if you love chocolate and can’t get enough of it, this might just be the Lenny & Larry’s cookie for you. It’s basically the Lenny & Larry’s chocolate chip cookie but with a chocolatey cookie base as well as the chocolate chips. One mega dose of chocolate and protein all in a single cookie. Which side do you stand on? Let us know in the comments below. We give theLenny & Larry’s Double Chocolate flavor a 3/5. The Peanut Butter flavor is pretty good. But not excellent. It has a chewy and creamy texture and you definitely get the peanut butter taste that you’d expect from, well… eating peanut butter. There’s really not a whole lot extra we can say about this flavor. If you like peanut butter, you’ll probably enjoy it (but might prefer the Peanut Butter Chocolate Chip like us). If you don’t like peanut butter, then we would recommend one of the other flavors. We give the Lenny & Larry’s Peanut Butter flavor a 4/5. This is basically the Peanut Butter flavor on steroids. You get all the great taste of the Peanut Butter flavor but the added chocolate chips make just that extra bit of difference that has us disappointed once we’ve finished. It’s basically the best of the Chocolate Chip and the Peanut Butter flavors rolled in to one delicious cookie. We were torn between a 4 and a 5 rating for this cookie, but we think that the Birthday Cake flavor just edges this one out slightly. Give it a try though, we’re sure you won’t be disappointed. We give the Lenny & Larry’s Peanut Butter Chocolate Chip flavor a 4/5. Lenny & Larry’s also offer Apple Pie, Pumpkin Spice, Coconut Chocolate Chip, White Chocolatey Razz and a Choc-o-mint flavor. We haven’t actually been able to try those flavors ourselves yet so obviously we can’t review them! We’ll make sure to update this page once we’ve tried them with what we think. But be sure to let us know in the comments below your own thoughts if you’ve had one of those flavors yourself. We’d love to hear what you think! If you weren’t already aware, Lenny & Larry’s faced a class action lawsuit in the past. The people behind the lawsuit were claiming that the protein content of the cookies did not match what was stated on the packaging. So they were claiming false advertising. It’s important to note that anyone in the US can file a lawsuit. And it appears as though that’s exactly what has happened here. It looks like Lenny & Larry’s settled out of the lawsuit to avoid further, large, costs that would be incurred by a longer process. But, despite settling, they did not admit any wrong doing and were adamant that their FDA approved cookies went through the proper testing process and did match up to what they were advertising. It’s also important to note that they were not the only ones involved. The Mars Wrigley group also faced a similar class action lawsuit for their Snickers Protein bars. If you want to know more, we’d recommend this article from Food Navigator. It hasn’t stopped us enjoying these cookies. But it might be something to keep an eye on. We’re pretty confident that you are getting the amount of protein they say. But even if not, these are such a great tasting snack that we’re going to keep eating them. At Protein Hunter, we’re still fans of Lenny & Larry cookies. We love to snack on these protein cookies throughout the week. We’ve done our best to provide an unbiased review of the Lenny & Larry protein cookie range. But like with any flavor reviews, these are our subjective reviews and your experiences might be different to ours. So, we’d love to hear about your experiences! Were there any flavors you loved that we hated? Which ones have you tried? Let us know what you think in the comments below. We’d love to keep this discussion going, especially with any of the new Lenny & Larry flavors we might not have tried yet!